Direct online appointment scheduling is offered at select UCLA Health offices. 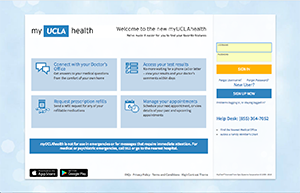 Log in to myUCLAhealth to find out if your doctor's office is one of them. New patients can submit a request to schedule an appointment with a primary or specialty care physicians. Learn more on how to schedule an appointment. 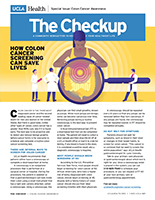 The Checkup is a new bi-monthly community newsletter to help UCLA Health patients live their healthiest lives. Find out about new office openings, read patient success stories and learn why primary care is important—and what preventive health screenings you may need—in our first issue.